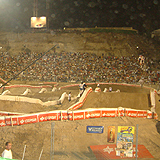 Since 1991, in the early days of August, Cuevas del Almanzora becomes filled with bikers and motorcycling fans as the perfect introduction for the celebration of the Spanish Supercross Championship and the Bikers Meeting City of Cuevas del Almanzora. Habanera is a Cuban song and dance genre of binary rhythm. This contest took place last year for sixth consecutive year in the unrivalled setting of La Esperanza Marina in Villaricos. 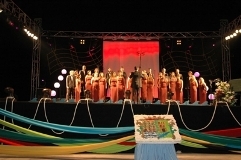 There, 3,500 people gathered to enjoy the performance of three renowned and prestigious groups. With this project the town hall celebrates a popular genre with a festive and fun spectacle. Every August, the Poetic Verse Contest “Mines of Sierra Almagrera” is held in the parish of Los Lobos. 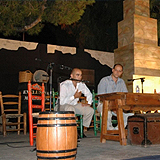 Poets and troubadours from Cuevas del Almanzora, Murcia, Argentina, La Alpujarra and Cuba participate in this contest, delighting the crowds at this event. 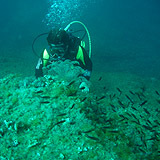 The best way of enjoying one of the area’s tourist attractions is practising scuba diving. Immersing yourself in these beautiful waters yields many visual treasures. Going deep into a world of matchless beauty, you will discover a unique ecosystem of marine flora and fauna. 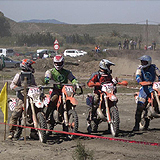 This race, eligible for the Spanish Championship, is organised by the Moto Club Sport Natura. The Town Hall of Cuevas, as well as different companies of this town, collaborates on staging this race. It is held in April, and during this month Palomares becomes a magnet for all the lovers and fans of this sport. During the competition, the streets of Palomares are filled with riders and those passionate about the world of motorcycle trial bikes. Enduro takes place over two days. The first event is held on Saturday, when the technical and administrative tests are carried out and the second is held on Sunday, when the race takes place. Sited in the reservoir of this town. 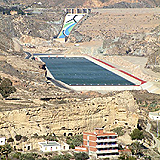 It was one of the most innovative infrastructures to be built on the occasion of the 2005 Mediterranean Games. During this important sports event, the lake was the scene of various competitions held in the municipality. Its total area of 132000 square meters, hosted the rowing and canoeing competitions. Facilities include provisional stands and auxiliary spaces such as a hangar for boats, judging towers and fitness room. From now on, these premises form a key component in future sports events, not only in the municipality of Cuevas but also in the entire province. Desert Springs Golf Club provides the visitor of Cuevas del Almanzora and its region with a new attractive and original tourist resource. Unique as the only desert golf course in Europe, this residential resort comprises a sizeable residential zone with an imaginatively landscaped golf course of 6170 m and 18 holes. Its tourist services include a health and relaxation centre, a golf academy, business premises and restaurants and bars.